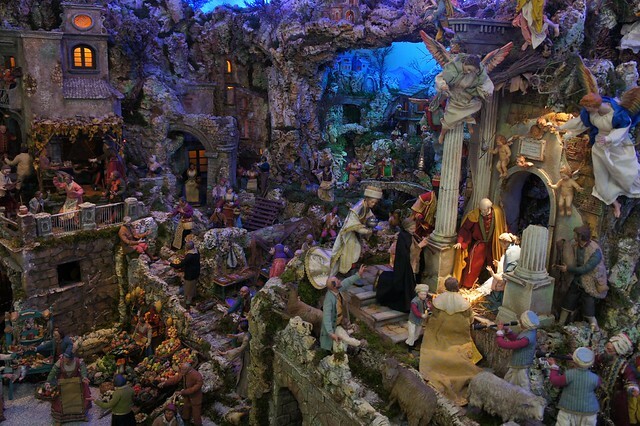 In just a few days, Italy will celebrate the Feast Day of the Immaculate Conception which falls each year on December 8th and marks the official beginning of the holiday season. 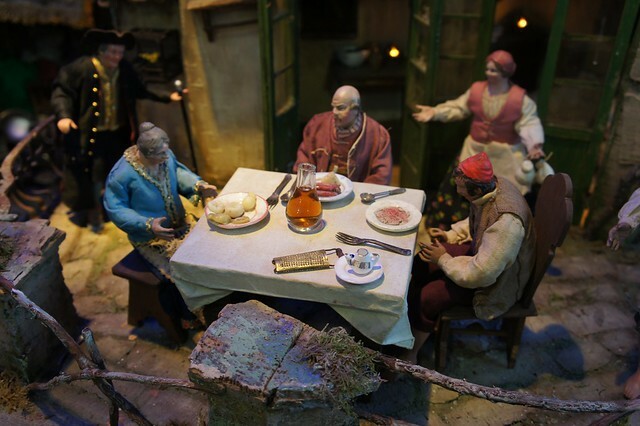 In years past, families and merchants spent this day decorating their homes and shops for Christmas, and each town threw the switch on their holiday lights come sundown (though now decorations are often seen at the end of November). 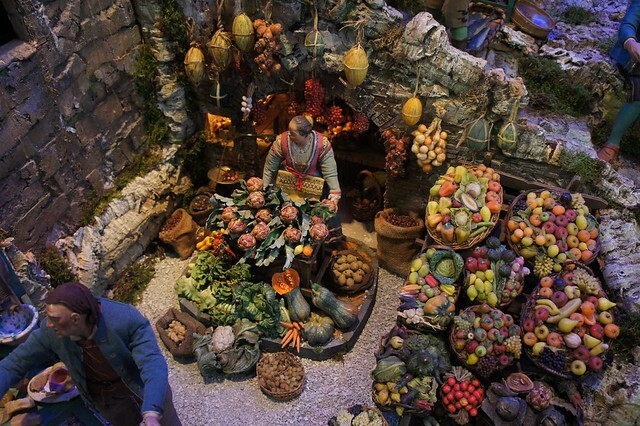 Though Christmas in Italy has become progressively international--with be-tinseled evergreens, Santa Claus, and candy canes—until just a few years ago the season’s decorations were limited to the traditional presepe, or nativity scene, which have reached an incredible level of detail over the centuries. 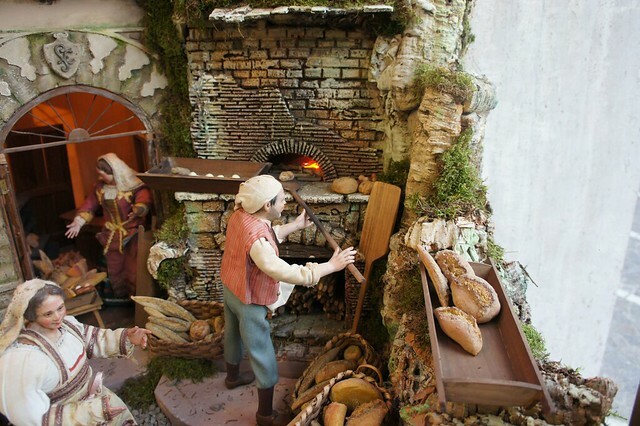 On December 8, Italy will celebrate the Feast Day of the Immaculate Conception marking the official beginning of the holiday season. Click to tweet. 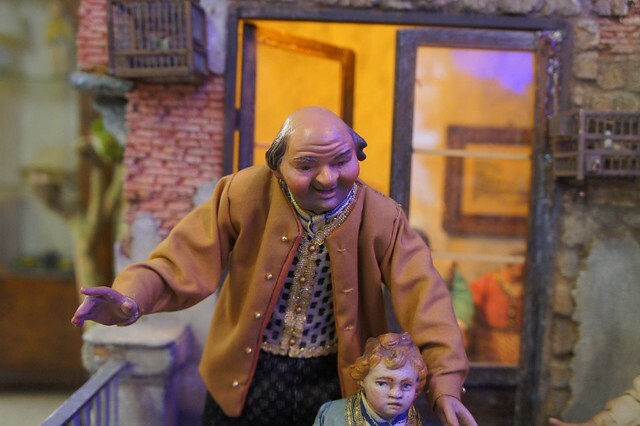 To see just how elaborate these miniature works of art can be, look no further than the fetchingly named Cuomo’s Lucky Store in Sorrento. 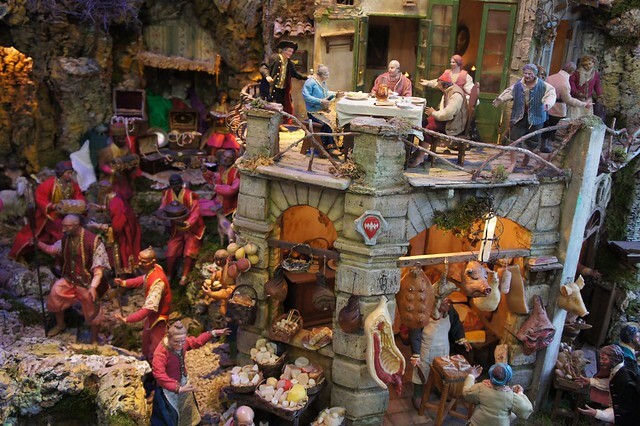 This shop has been hand crafting furniture, music and cigar boxes, clocks and other works of intricate inlaid wood since 1856, but the most stunning of their creations is their presepe. 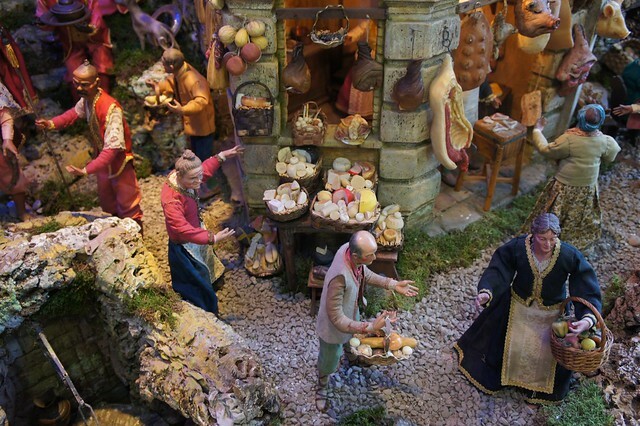 Displayed all year long, this sprawling nativity scene includes a bustling town-- crowded with citizens and merchants going about their daily business—and the surrounding rugged countryside, dotted with shepherds and livestock. 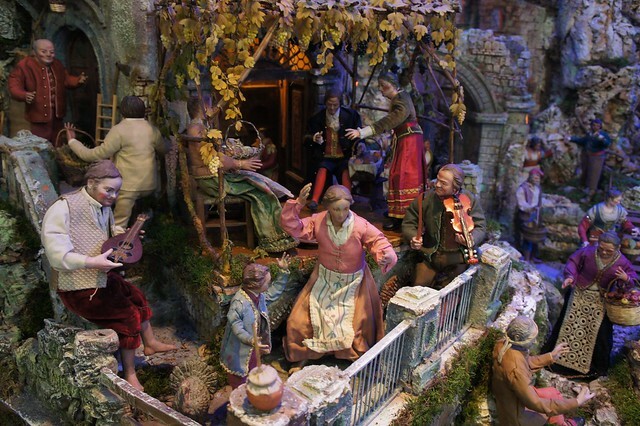 Visitors can hardly tear themselves away from the precision and detail of one of the most elaborate examples of the traditional Neapolitan presepe, and exclaiming over each tiny apple at the fruit market, each perfect loaf of bread at the bakers, each unique expression on the faces of the hundreds of tiny figures populating this Christmas universe. 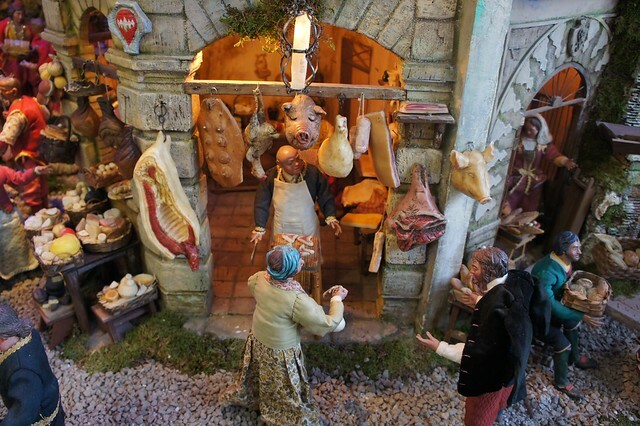 One of the most elaborate examples of Italy’s traditional nativity scene displays can be found at Cuomo’s Lucky Store in Sorrento. Click to tweet.